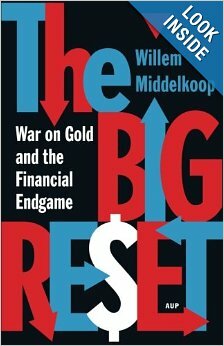 Willem Middelkoop the great author of the bestselling book “The Big Reset” and are Looking for the big reset pdf? Willem Middelkoop wrote an excellent book about the coming global economic reset, I created this to help spread the word. This pdf was provided to me by the publisher and is the complete Chapter 6: The Big Reset. If you enjoy reading the Big Reset please purchase it at a discounted price through the PDF link. 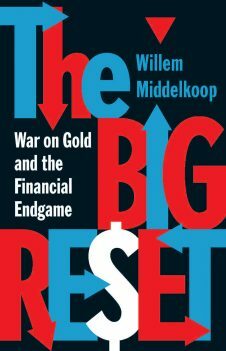 The Big Reset: War on Gold and the Financial Endgame by Willem Middelkoop The book link below links to amazon.com Here is Adobe Reader if you can’t open PDFs The book is about the coming monetary reset and global financial reset as some have called it. Willem Middelkoop (Geneva, 1962) is founder of the Commodity Discovery Fund, and is a writer. He became a well-known personality through his work as stock market commentator for the Dutch business television channel RTLZ. Middelkoop predicted the onset of the credit crisis in his book “Als de dollar valt” (If the dollar falls) – 2007. Subsequent publications were “De permanente oliecrisis” (The permanent oil crisis) – 2008, “Overleef de kredietcrisis” (Surviving the credit crisis) – 2009, “Goud en het geheim van geld” (Gold and the secret of money) – 2012, and The Big Reset – 2013. In total, he sold more than 100,000 copies of his books. Middelkoop graduated as an engineer in 1986, but embarked on a career in (photo)journalism. His photos and columns appeared in virtually all the daily and weekly newspapers in Holland. In 1986, the British Sunday Times published his series of photographs about pickpocketing gypsy children in Paris. Curiosity lead him to start studying the history of the world’s financial system, during the later 1980s. He started publishing articles and columns on the topic from 1998 onwards. Between 2001 and 2008, Middelkoop commented on the stock markets from the Amsterdam stock exchange. Besides his work as an independent journalist, he started to focus more on business opportunities. A Russian adventure into timber exports shortly after the implosion of communism during the 1990s, ended in failure. He was more successful as an investor in real estate in Amsterdam, renting apartments to expats as of 1995. After the bursting of the internet bubble, he decided to sell his apartments in order to safeguard his investments for fear of a crash. He invested the proceeds in Canadian resource companies. After making handsome gains in 2003, stock prices started to plummet in 2004. 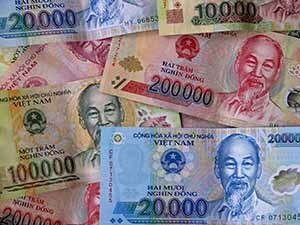 However, shares of companies developing newly discovered gold veins continued to rise. With this insight, Middelkoop started to specialize in identifying discoveries in natural resources, what he calls ‘Discovery Investing’. This forms the core of the Gold & Discovery Fund, which he founded in 2008. The fund was renamed to Commodity Discovery Fund, in 2012. In order to facilitate the purchase of physical gold and silver for savers and retail investors, Middelkoop opened a precious metals web shop, amsterdamgold.com, in 2008. Within three years, the web shop was market leader in bullion sales in Holland, reaching an annual turnover of 100 mil euros. Middelkoop sold amsterdamgold.com to a publically listed company, in 2011. I have tried to download the book, and it keeps going in circles. There are several different pdf download links on that page, please check each one. I&apos;ve looked all over and cannot find the link to download chapter 6. You could make it a lot simpler.